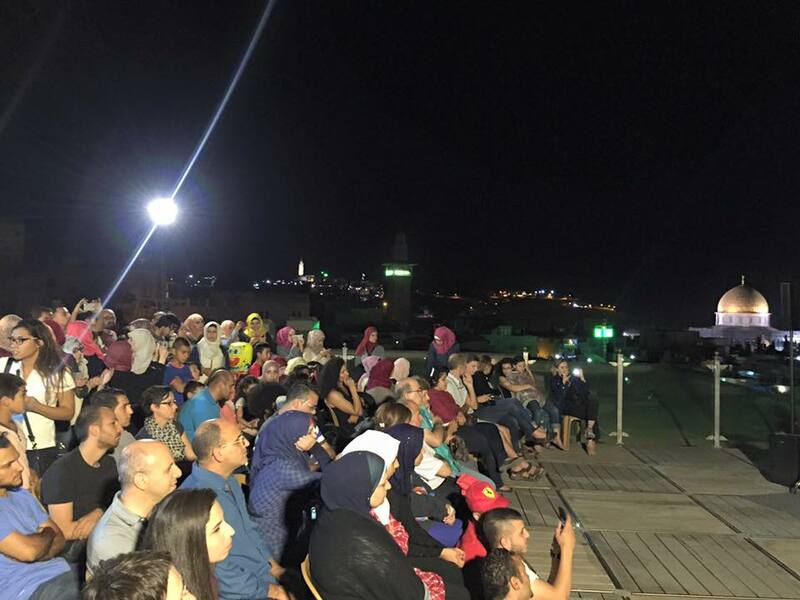 The Palestinian Jerusalemite organizations celebrated the ending ceremony of Ramadan in the Old City Streets with an event for children in front of Al-Kittan Cave near Damascus Gate. A number of children and their parents attended the event as clowns drew on the faces of children, distributed balloons, dance and sang with them. The activities of Ramadan in the Old City streets come within a sequence of activities that were self-financed by the efforts of youths and organizations. This work aimed to revive the streets of the Old City of Jerusalem during Ramadan, in addition to enhancing the Arab existence in Jerusalem, especially the old city. In addition to activating the trade in the markets of the old city, this program is aims to trigger the cultural and historical organizations located on the way starting from Damascus gate. In addition, it aims to give the Palestinian audience the chance to know Jerusalem with its different cultural, historical and religious places. The program contained educational, commercial tours, visiting sites, Ramadan events and activities, children activities, group breakfasts, visiting depopulated villages, Ramadan storytellers and many diversified activities for different ages which revived the heritage of Old City streets in heritage and Palestinian identity reinforcement.